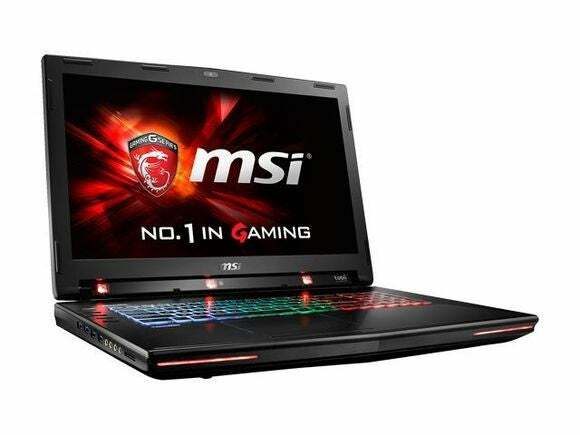 MSI's new gaming laptop is the first to come with Tobii eye-tracking built-in. It didn’t come in January as predicted, but MSI’s GT72S G Tobii-805 Gaming Laptop with Tobii Eye Tracking is now available exclusively at Newegg. For the princely sum of $2,600 you can get a clamshell rocking a quad-core 2.7GHz Intel “Skylake” Core i7-6820HK processor, Nvidia GeForce GTX 980M graphics with 8GB of dedicated memory, 32GB of RAM, a 1TB HDD and a 256GB PCIe SSD. All that power under the hood is piped to a 17.3-inch 1080p display, plus you get a Blu-ray disc burner and a free copy of Tom Clancy’s The Division, which is due to launch in March with Tobii support. Why this matters: The headlining feature of this laptop, however, is the Tobii eye-tracking hardware, as it's the first laptop to ever come with this tech built-in. We were able to get a look at an early version of an MSI laptop with Tobii tech during CES in January. Tobii’s eye tracking can be used for a number of things. Most importantly for gamers, it can be used as a controller. Instead of messing around with a mouse and keyboard buttons, Tobii allows you to control your character in games that support it such as Assassin’s Creed: Syndicate and the aforementioned Tom Clancy title. You can see the GT72S G Tobii-805's eye-tracking tech in action in the video below, along with some of the other gaming laptops MSI has on tap for this year. For game broadcasters, MSI’s new laptop also comes with the XSplit Gamecaster software, which can display an overlay of your eye tracking movements on your live stream. This allows viewers to see exactly where you’re looking at while you're playing. 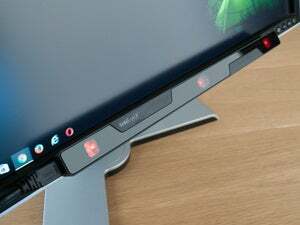 The eye tracking also supports Windows Hello for biometric authentication. If you can afford the price, it sounds like an awesome laptop—but don’t plan on buying one for everybody in your family. Newegg is currently limiting purchases to one per customer.